Since good lemon granita can be found just about everywhere in Sicily(see my post with tips on finding good granita), it would be rare for anyone in Sicily to make lemon granita at home. However, the rest of the world is not so fortunate, so when you crave lemon granita, try this recipe. It does not require any special equipment other than a blender or food processor. While the texture may not be exactly like a Sicilian lemon granita, it will be close, and the taste sublime. This makes a refreshing treat on a hot summer’s day, or have it for breakfast, like a true Sicilian. Peel the zest from the lemons and set aside. Squeeze the lemons to make 2/3 cup (150 ml) lemon juice. In a large non-reactive pot, heat the water with the sugar. Bring to a boil and simmer 2 minutes, stirring to make sure the sugar is dissolved. Add the lemon juice and lemon zest. Cover and let steep for 30 minutes. Take the partially or completely frozen granita out of the freezer and leave it at room temperature until you can break it up into hunks with a large spoon. Grind these hunks in a food processor or blender until it is the consistency of soft snow. Return to freezer until ready to serve. If it freezes too hard, let the granita sit at room temperature for a few minutes, then work the mixture with the back of a large metal spoon until soft. Serve in glasses or small bowls garnished with lemon verbena or mint. Serves 4-6. Thanks. As you said, there are no shortage of places to get lemon granita where you live. Do you have a favorite place near you or in Catania that you can recommend to our readers? I want to eat, drink and swim Italy with you! Everything looks divine! Thank you for sharing the beautiful food and beautiful country! Hi Anita, I’ve just spent 2wks in Pozzallo, Sicily. Nino’s serves the very best of lemon granitas with their brioche. We just caught the last of their mulberry granitas – just yum! Will try out the lemon granita recipe when I get back to Australia. I am Sicilian too born but live in Melbourne. Maria – Glad to hear the granita was a hit in Melbourne. 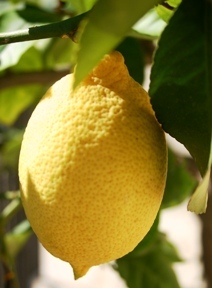 When I have a lot of ripe lemons, I sometimes squeeze and freeze the juice to use in grantia in the warm weather. Can’t wait to surprise my Sicilian husband this weekend! Thanks for the recipe!! My husband is Italian Canadian, family is from the very north. We make Granitas out all many fruits, serve them like a sorbet between courses. Lemon is one of our favourites, but really like strawberry balsamic too. BTW we also make our own limoncello. 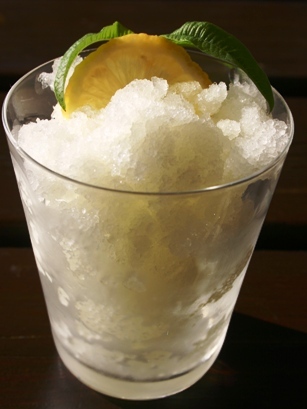 I’ve recently returned home to australia from a trip to Lipari and there magnificent Granita i miss them so much so i have been searching for a traditional lemon granita recipe, thankyou i will try this.